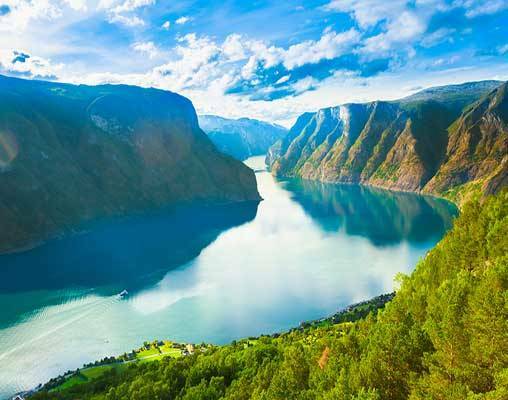 Your guided tour of Norway focuses on the country’s natural beauty with its glistening mountains, fjords, waterfalls, and glaciers. 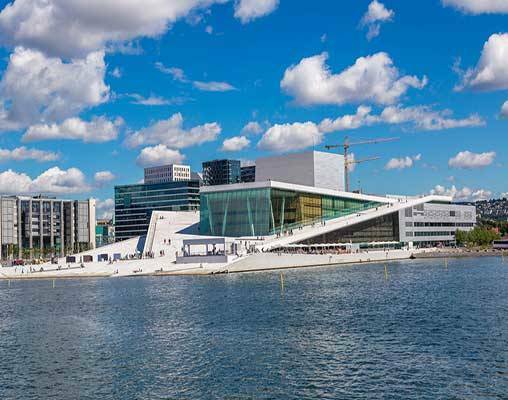 Your tour starts in Oslo and explores the idyllic Norwegian landscapes and harbor towns – rich in the folklore of pirates, Vikings, and smugglers through the Napoleonic Wars. 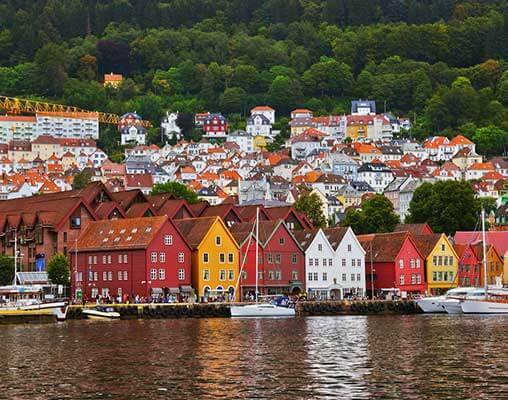 You’ll follow the southern coast of the country by coach and ferry to fascinating Bergen where you will spend two nights with plenty time to discover the bustling harbor and taste salmon at the fish market. 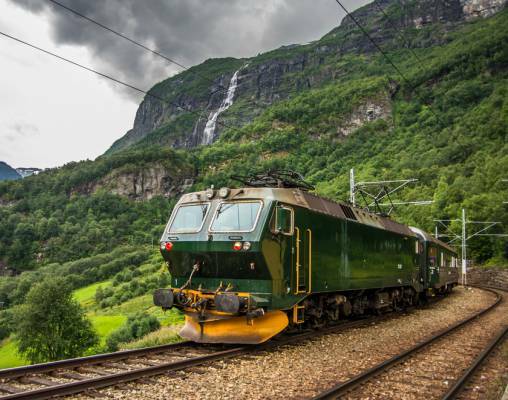 The highlights of the tour will be the fascinating Flam Train journey through the world’s most breathtaking scenery, followed by a cruise across the legendary Sognefjord to Loen – home to some of Norway’s oldest farms. Ascend 5,000 feet to the Dalsnibba Lookout to survey some of the world’s most spectacular landscapes. 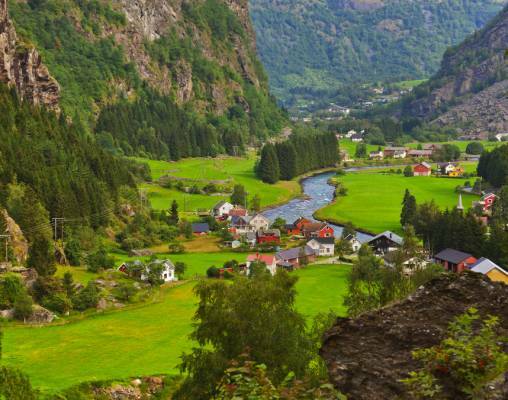 Spend time in the stunning village of Geiranger, where you’ll have an opportunity to cruise its spectacular fjord or just relax taking in the beauty of the landscapes. 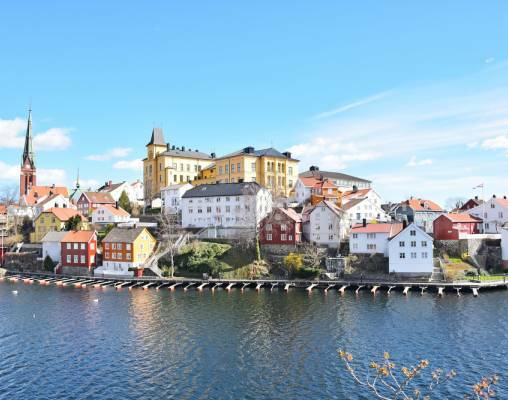 Travel to Lillehammer, home to the 1994 Winter Olympics, and also known for its exciting arts scene. Visit the town of Hamar on the shores of Lake Mjøsa – one of the deepest lakes in Europe. You’ll also visit a spectacular museum and the remains of a 950-year-old cathedral. 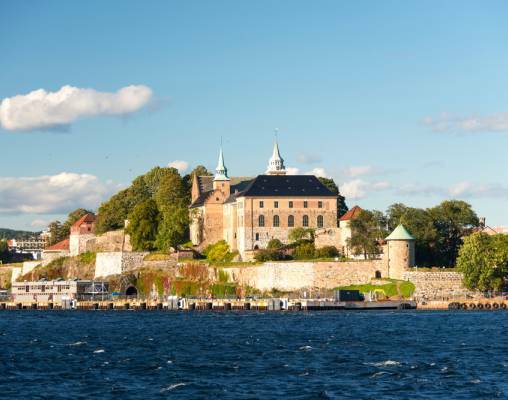 Upon your return to Oslo, your guided sightseeing tour includes a medieval castle, royal palace, and the outdoor exhibition of the sculptures of famed artist Gustav Vigeland. Check into your hotel. The rest of your day is free to start exploring Oslo, bustling capital of this land of fjords, mountains, glaciers, and waterfalls. Tonight, meet your Tour Director and fellow travelers. Hotel accommodations include: Scandic Solli Oslo, Comfort Borsparken or Scandic Vulkan (Oslo); Scandic Sorlandet (Kristiansand); Scandic Forum (Stavanger); Thon Bristol (Bergen); Hotel Geiranger (Geiranger); and Clarion Collection Hammer or First Breiseth (Lillehammer). Enter your details below if you would like to be notified when 2020 dates and prices are available for Norwegian Fjord Explorer.